One of the many great things about my new found freedom is being able to work from practically anywhere, anytime. I just need my MacBook, my Canon, a pen and my notebook, a good book to read, and since I work well while caffeinated and in a sugar high, a tasty cup of coffee and some sweet treats would be preferable. And so, I have been spending a lot of time lately making the rounds of the coffee houses in the city to come up with my list of the coolest cafés. 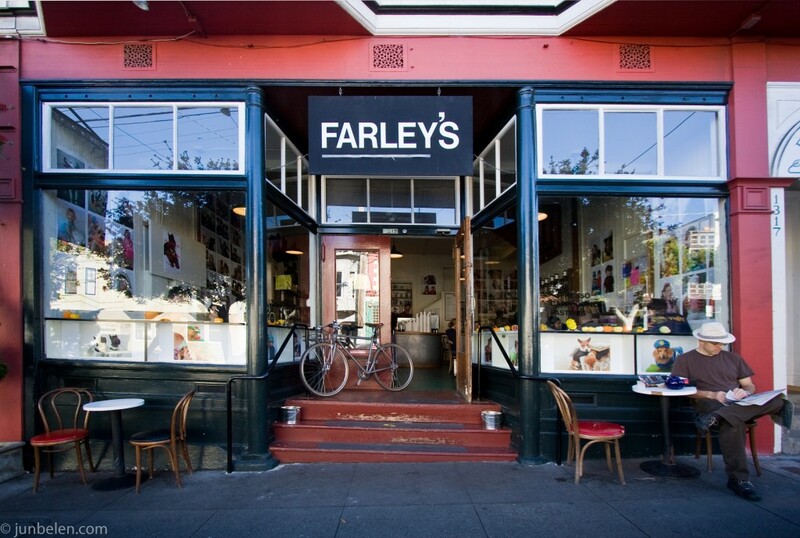 Let me start with the one closest to home, Farley’s at 18th Street in Potrero Hill. Farley’s is truly a cool neighborhood coffee shop with lots of community events and activities like the Annual Pet Fest they host every Halloween and their evenings of live jazz and standards played by local artists. Another cool thing about Farley’s is their wall where they display the work of local artists and photographers. 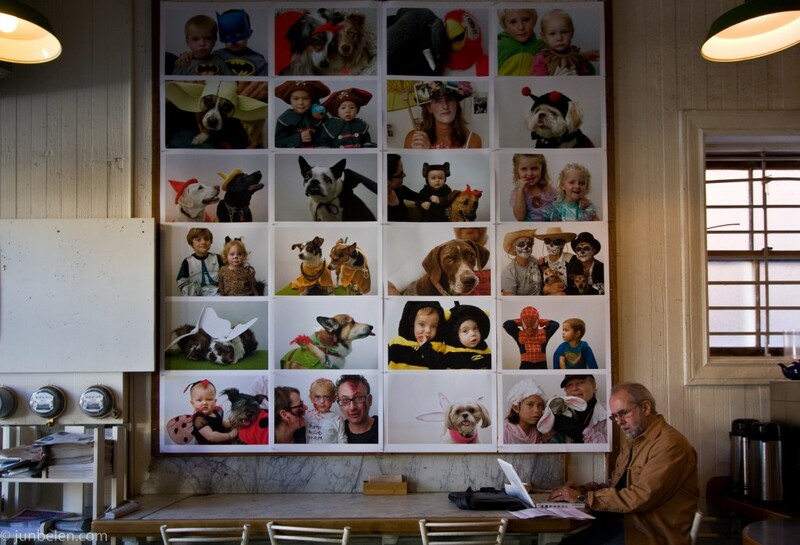 For November, they are showcasing the charming photographs of the pets and kids in costumes at the Pet Fest taken by “Photo Booth” photographer Christopher Irion. Stanford actually made it to the wall! Can you spot the red corgi? Farley’s beans are hand roasted by a local coffee company in the East Bay. My favorite Farley’s sweet treat is their rich and yummy brownie. Other notes: a cup of coffee is $1.75; wi-fi is free; there is outdoor seating; cookies and pastries are available and you can grab a sandwich next door at Hazel’s Kitchen and enjoy it at Farley’s. I really like your photographs of Farley’s Jun. It lools like a great place to go. Can Stanford go there too? Unfortunately, dogs can’t come inside and so we usually hang out by the tables and chairs outside. It’s actually nice to sit outside more so on a nice sunny day!